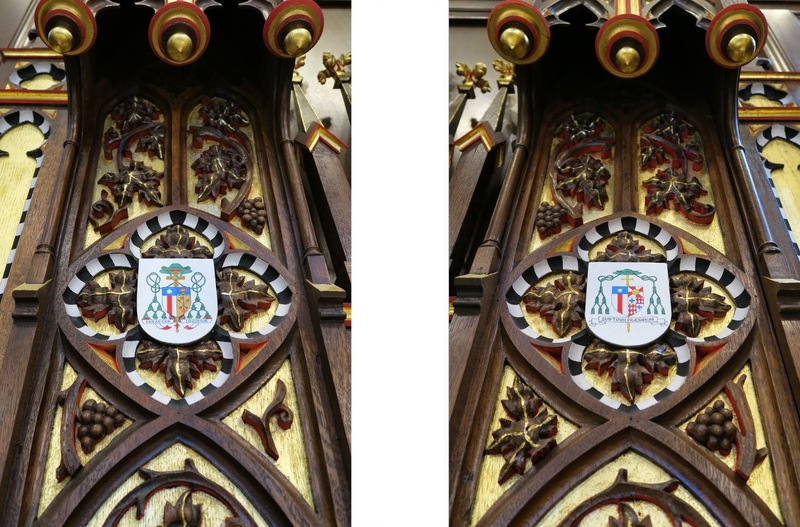 From McCrery Architects come these photos of the two altars just recently consecrated by Bishop James Conley in the St Thomas Aquinas Chapel, at the Blessed John Henry Newman Center of the University of Nebraska, in Lincoln. 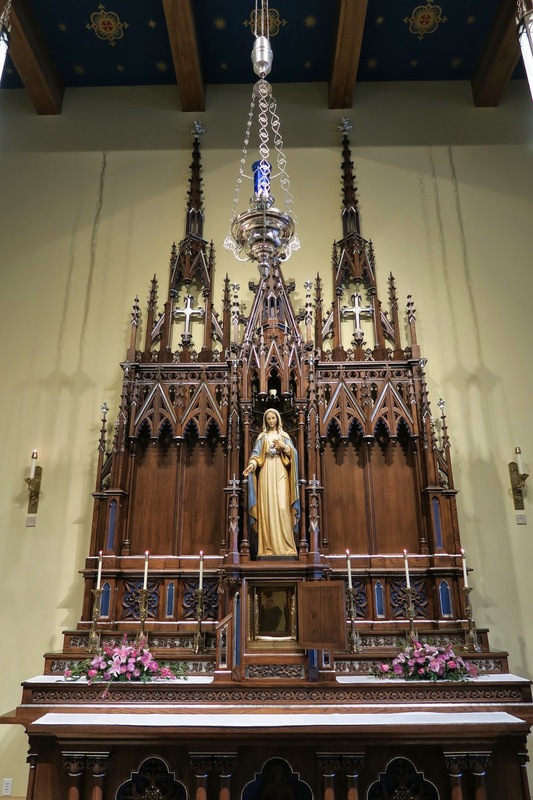 Three altars, one main altar and two side altars, were purchased from a closed church in Youngstown, Ohio, Immaculate Conception. 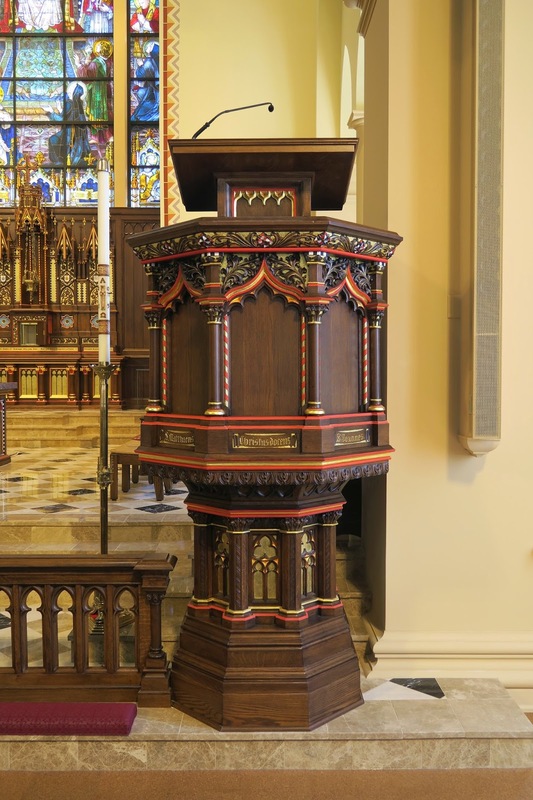 They were removed, repaired and refinished by a carpenter in West Virginia. 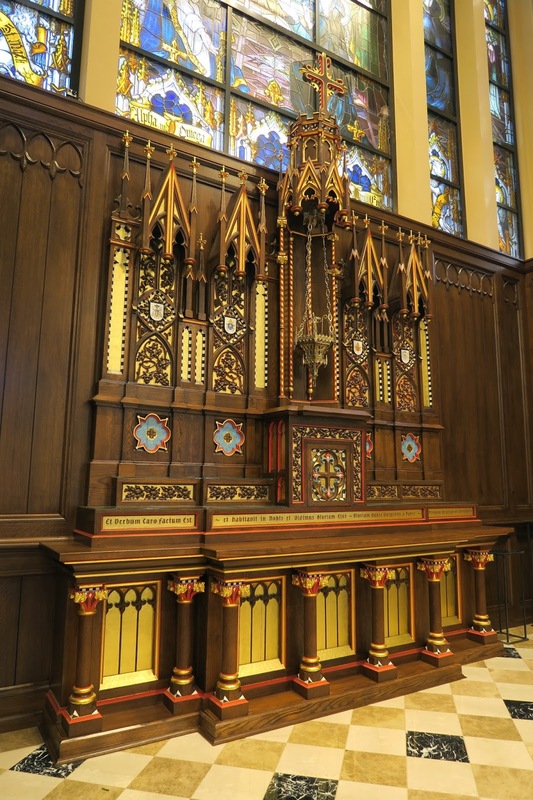 The main altar was kept in its original form for use in the new side chapel dedicated to Mary, while the two side altars were dismantled and combined to form the new reredos altar of reservation in the sanctuary of the St. Thomas Aquinas Chapel. 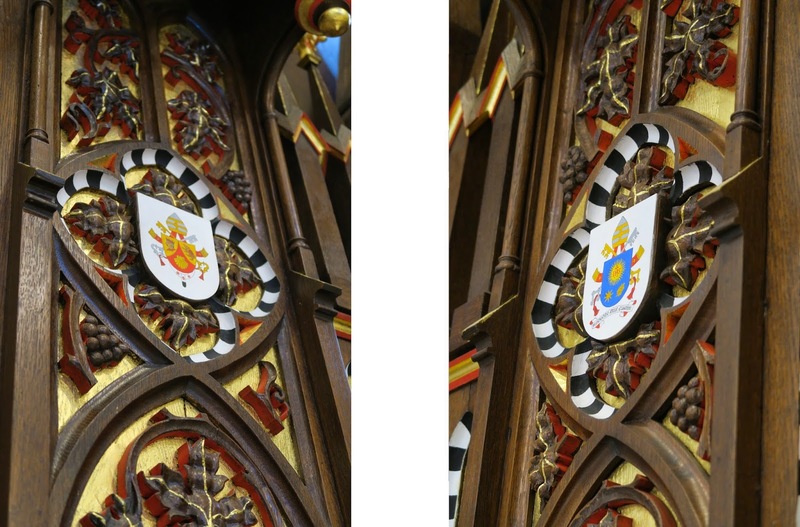 Both altars were then shipped in pieces to Gold Leaf Studio in Washington, DC, where they were carefully decorated with gilding and polychrome work, under the collaboration of William Adair of Gold Leaf Studios and James McCrery of McCrery Architects. 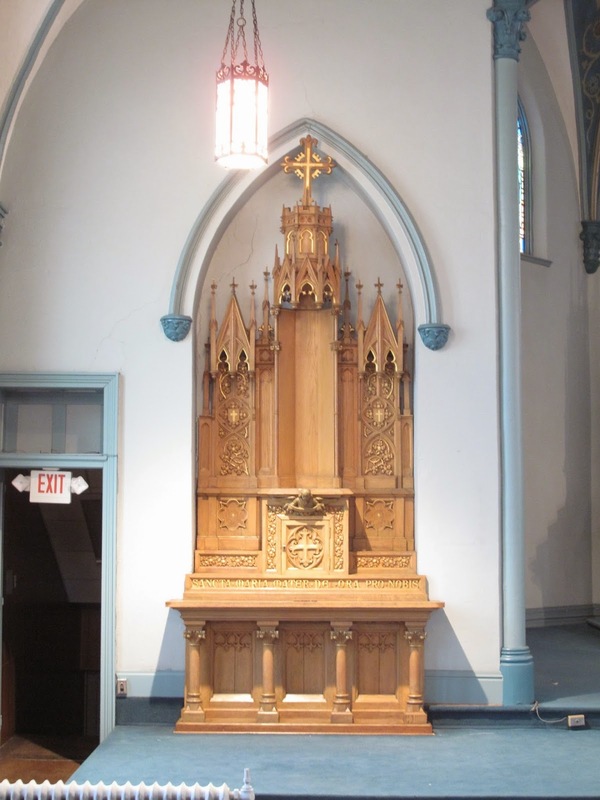 The altars were then shipped to Lincoln and installed. 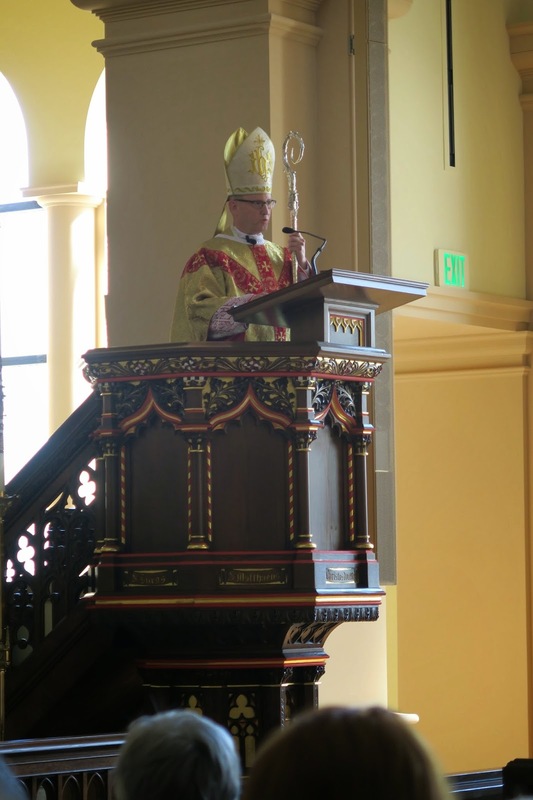 The Chapel was consecrated on Divine Mercy Sunday by Bishop James Conley, with Archbishop George Lucas of Omaha and Emeritus Bishop of Lincoln Fabian Bruskewitz attending. 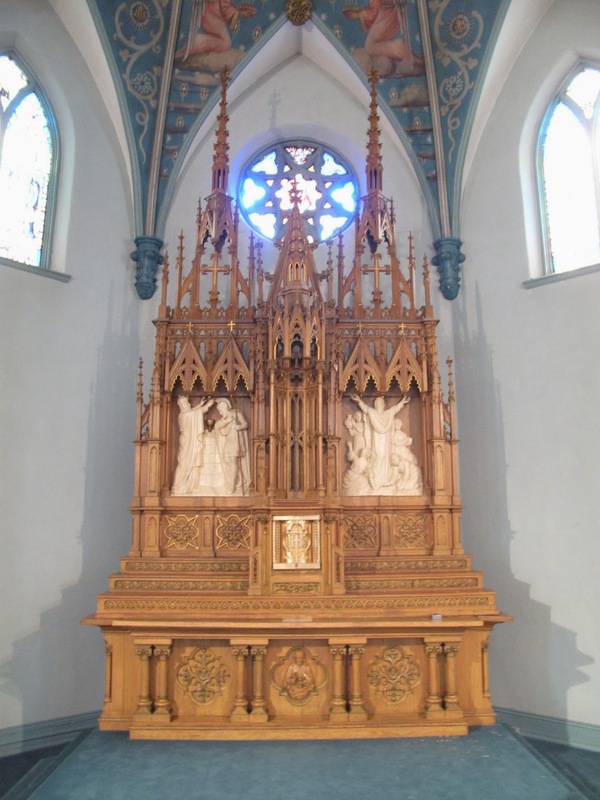 The new reredos altar installed. 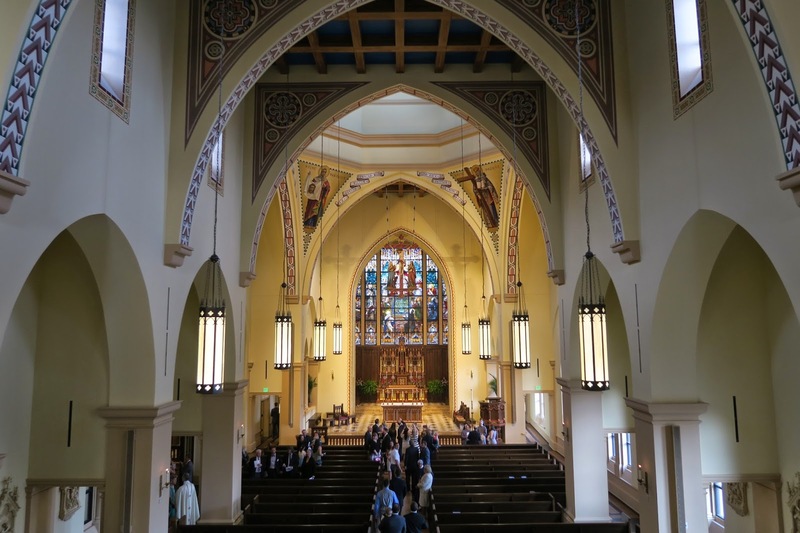 A view of the chapel from the choir loft. The central part of the altar in its original location. The altar of the Virgin in its original location. Bishop Conely preaching from it.